Tim Kaine: Boon for Latin America Policy? U.S. Presidential candidate Hillary Clinton’s vice-presidential nominee, Virginia Senator Tim Kaine, may help her politically in the November election, and his potential influence on U.S. policy toward Latin America could be extremely important over the long haul. Though Kaine’s Latin American experience likely was a secondary consideration in his selection, it is consistent with the role of the office of the vice president that has emerged during the Obama Administration as a center for serious policy initiatives in the Americas. As a member of the Senate Foreign Relations Committee, Kaine has developed a rare policy focus on Honduras. He has pressed the U.S. and Honduran governments on issues of human rights in the wake of the 2009 coup. In 2013, Kaine urged Secretary of State John Kerry for stronger U.S. support for elections. Just two weeks ago, he called on Honduran President Hernández for greater effort on justice in the killing of environmental activist Berta Cáceres. Kaine’s political rhetoric often reflects his Jesuit background, and his Catholicism-inspired references to social justice – and his warm welcome for Pope Francis – are likely to earn him an empathetic ear among many throughout Latin America. Vice-presidential leadership for the Americas offers an important opportunity – and one that Tim Kaine, if elected, is likely to use wisely. He has complained that Washington usually pays attention to Latin America only in moments of crisis, and has argued the region should get similar priority as China, Russia, or the Middle East. He would build on efforts initiated by Vice President Joe Biden, who has chaired a “High Level Economic Dialogue” with Mexico and pushed for the $750 million “Alliance for Prosperity” in Central America. Kaine would be an asset in relationships that often fuse international and domestic policy, slicing across the domains of myriad departments and agencies. While Kaine’s personal interest and positive relationships don’t guarantee policy successes on migration, drug policy, citizen security, and development assistance as vice president, his language skills and reputation for treating colleagues with respect all but guarantee a warm reception from leaders of countries long aggrieved by U.S. highhandedness. *Tom Long is a Lecturer in International Relations at the University of Reading (UK) and an Affiliated Professor at the Centro de Investigación y Docencia Económicas in Mexico City. 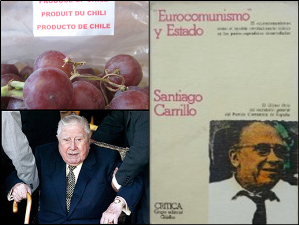 He is the author of Latin America Confronts the United States: Asymmetry and Influence, published last year by Cambridge University Press. While most eyes are on U.S. President Obama’s historic visit to Cuba, the timing and agenda of his follow-on travel to Argentina – while controversial – also is a significant opportunity for the United States to burnish its image in Latin America. Obama arrives in Buenos Aires on the 40th anniversary of Argentina’s military coup d’etat, marking a brutal period of systematic human rights violations in which the United States lent tacit support. 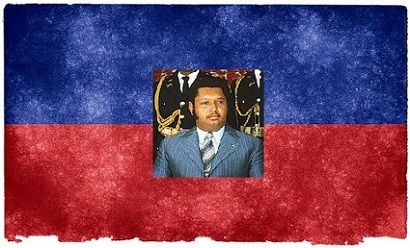 In an important attempt to ameliorate the controversy over his timing, Obama will be delivering a cache of declassified documents on both what the U.S. knew regarding the 1976-1983 repression and on the green light that Secretary of State Henry Kissinger gave the dictatorship’s dirty war against political opponents during the final year of the Ford presidency. In addition, the President will visit the Parque de la Memoria, site of a memorial to the thousands of victims of the military regime. He’d expressed interest in a visit to the ex-Navy Mechanics School (ESMA), notorious former clandestine detention site where an estimated 5,000 Argentines were imprisoned, 90 percent of whom were murdered, but political sensitivities in Buenos Aires precluded it. Argentina has pioneered efforts to come to terms with the past, from prosecuting and jailing former military officers guilty of violations, to “recuperating” former clandestine detention centers, where citizens were tortured, executed, and made to “disappear.” Human rights activists have converted several of these former centers, such as the ex-ESMA, into spaces to remember and to educate the public with a message of accountability and of “never again.” Some memory sites also seek to connect human rights violations of the past to ongoing violations, including police brutality and the abuse of the incarcerated, as well as to present-day struggles for social justice. Argentine school children learn about their past and study the Universal Declaration of Human Rights. It is an important moment for the U.S. president publicly to recognize the U.S. historic role in Argentina’s tragic past – and for Argentines to show Washington, itself accused of torture and clandestine detention in recent years within its “War on Terror,” that such abuses can never be tolerated and that perpetrators must be brought to justice for a democracy to be healthy and stable. Countries throughout the region, including Chile, Uruguay, Peru, Colombia, El Salvador, and Guatemala, have similarly created memorials and museums of memory. Chile’s Museum of Memory and Human Rights gets over 10,000 visitors a month. It houses a large permanent display documenting the 1973-1990 dictatorship, and like the ex-ESMA, opens its spaces to human rights organizations, artists, theater groups, and others for workshops, plays, movie series, and more. In El Salvador, the Museum of the Word and the Image sponsors an exhibit on the roots of the country’s civil war as well as memories of the suffering and resistance. It has also sponsored exhibits on Salvadoran migration to the United States during the war and connects past to current violence, both within El Salvador and in close relation to the United States. Together these efforts invite acknowledgment, reflection, and dialogue. President Obama’s activities in Argentina, like President Clinton’s apology in Guatemala for the U.S. role in past violations in that country, are an important gesture that, within a broader U.S. commitment, could help facilitate a less tarnished image for Washington in Latin America along with his historic shift in policy toward Cuba. * Katherine Hite is professor of political science at Vassar, with special interest in Latin American politics, social movements, and the legacies of violence for governments and societies throughout the Americas. 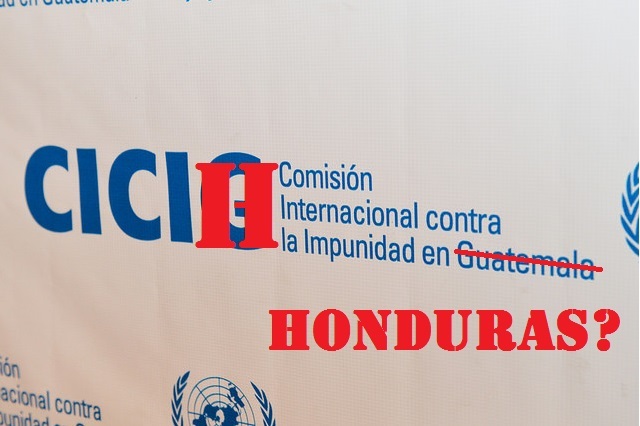 The success of the Comisión Internacional Contra la Impunidad en Guatemala (CICIG) in driving anti-corruption efforts there – culminating in the resignation of President Pérez Molina – has stoked debate in neighboring Honduras on the wisdom of creating a “CICIH” with the same mission to root out the rot that permeates state institutions and perpetuates the misery of the citizenry. President Juan Orlando Hernandez has stated categorically that no such entity is needed in Honduras given advances in the country’s own institutions and his own putative commitment to good governance. Some civil society organizations are at least implicitly concurring by taking part in accountability initiatives involving collaboration with the government. Other voices from civil society are objecting vociferously, however. Most notable among them are the indignados, a largely youth-based movement that insists that the President himself and virtually the entire institutional system in Honduras is so rotten that only an international body can be trusted to root out endemic corruption. The argument rages on, with the indignados staging regular demonstrations and the government – occupied simultaneously with promoting its credibility at home and abroad and maneuvering to secure authorization for presidential re-election – holding fast to its opposition to any such international role. The debate will continue for the foreseeable future. We sketch below our understanding of the competing arguments. By nearly all accounts, corruption has rendered the public and private sectors chronically ineffective – from the President (who admitted that millions from Social Security made it into his campaign coffers and who engaged in nepotism), through the government ministries and even the judicial bureaucracies (where political pressure, intimidation, and bribery are rampant), and companies large and small (for whom payoffs are merely an added budget item). The country has topped the charts in non-war homicides, including targeted killings, and other violence for several years, further discouraging investigations and prosecutions. The flood of narcotics and cash through Honduras has thrown fuel onto the flames. Only an independent, UN-endorsed entity like a CICIH – with its unique ability to train, protect, and motivate judicial personnel, issue indictments, and put powerful people in jail, and shame local government into taking action – can help the country climb out of this deep hole, this argument goes. Steven Dudley of InSight Crime notes that the call for a CICIH comes at a time that the Attorney General’s office is showing some signs of life. Its anti-corruption efforts have led to the indictment and arrest of the former head of the Social Security Institute on charges of embezzlement and illegally financing political parties (although some charges were dropped). Combating crime, cheaper homemade solutions are showing results in Honduras in terms of training and cases resolved. Organizations like the Asociación para una Sociedad más Justa (ASJ) are doing groundbreaking work to keep homicide levels down in some of the worst neighborhoods at a fraction of the cost of a CICIH. Expense is another important factor. 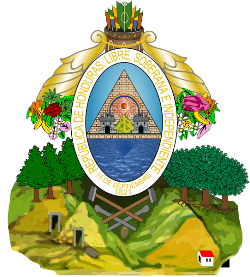 In Guatemala the CICIG costs between $12 million and $15 million annually, which even that country, far wealthier than Honduras, cannot afford. CICIG has provided valuable assistance and training to Guatemala’s Attorney General’s Office, but its foreign investigators, who move around in armored vehicles with armed bodyguards, leech massive resources that might otherwise go to fortify local prosecutors’ offices. Moreover, according to this argument, the investigators don’t need foreign prosecutors to tell them what they’re doing wrong. Skeptics further contend that international donors and pro-reform Hondurans arguably will not get the quick fix and public relations victory they want from a CICIH. It took over a decade for CICIG to set up in Guatemala and nearly eight years to get the right mix of cases. Its greatest strategic goal – fortifying Guatemala’s justice system – remains a work in progress. The Guatemalan Attorney General’s Office has not yet executed a complicated, forensic investigation leading to a high-level prosecution. Honduras’s greater reliance on foreign assistance, according to this argument, suggests a CICIH would actually enable its dependency, rather than break it. The weakness and rot within Honduran institutions and the venality of national leadership strongly suggest that neither approach – a foreign-backed entity like CICIH or a home-grown solution – could quickly reverse the tsunami of corruption and violence that the isthmus’s poorest country has been experiencing since the 2009 coup. Ideally, the best of Honduras’s own efforts could be buttressed by a Honduran version of the CICIG model, but the knack of the country’s leaders for overwhelming even the best of intentions, as they did the “Truth Commission” charged with determining accountability for the coup and rights abuses carried out in its aftermath, argues for extreme caution in forming expectations. The debate therefore may boil down to the moral argument of whether the international community, witnessing Honduras’s descent into utter lawlessness and destitution, can stand idly by or should at least offer its help in what form it can, such as a CICIH. Even if a CICIH is not a panacea, it at least would send a powerful message to Honduran elites that the world is watching. The casualty figures from last Wednesday’s confrontation between government and opposition groups in the streets of Caracas – three dead, several dozen injured and many thousands angry – are clearer than the solutions to Venezuela’s current crisis. The airwaves immediately flooded with the usual accusations of who provoked whom. The protest leaders – who have shoved aside the opposition’s more moderate standard-bearer, Henrique Capriles – blamed toughs within the pro-government “colectivos.” President Maduro blamed “small fascist groups” for the violence. He has accused protest leader Leopoldo López of trying to orchestrate a coup, and a court is charging him with murder and “terrorism.” López denies the coup-plotting, but he does state forcefully that, under the campaign slogan of “La Salida,” he wants to put millions in the streets to force Maduro to step down. Failing that, he’s building a base from which to launch a referendum to remove Maduro when the Constitution allows in 2016. As always, both sides in the dispute claim to have the support of “el pueblo” and to seek only to promote the people’s interests. The people did speak, albeit by a small margin, in favor of Maduro in last April’s presidential election, but the opposition – especially the boisterous faction that’s orchestrating the current protests – has never officially acknowledged his legitimacy as president. Maduro’s ad hoc reactions to Venezuela’s increasingly dire economic situation, including policies that he boasts are going to make the “bourgeoisie squeal,” appear desperate and counterproductive. Confusing audacity for leadership, Maduro has signaled that if López and his followers want to take to the streets, he’s ready to accept the challenge. Venezuelan politics has long been characterized by a vicious cycle in which each side strives to provoke the other into making mistakes that injure itself – and each side can’t resist rising to the provocation, fueling a downward spiral. 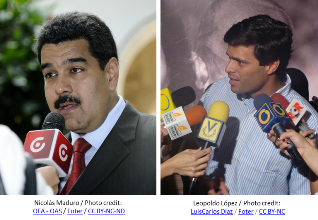 Maduro and the opposition hotheads have found soul mates in one another – feeding on each other’s extremism – and it’s happening just as Capriles and other opposition moderates were making progress in a decade-long effort to redefine political dynamics in the country. Maduro’s tough talk and López’s battle calls for massive protests, for salida, and for recall referendums are reminiscent of 2002‑04, when Chávez grew steadily stronger as he survived a coup, a national strike, mysterious bombings and other clandestine operations by foes, a recall referendum and more. For a young (42 years old) Harvard-educated man from the wealthy end of town to think that he can best Maduro in the streets shows the sort of questionable judgment that gives a little credibility to government allegations that his provocations are part of a bigger, externally directed plan. The U.S. State Department spokesman insisted on Thursday that it “is absolutely not true” that Washington is interested in “influencing the domestic political situation in Venezuela.” Whatever the merit of the allegations and denials, Venezuelan elites on both sides of the deep divide seem ill-prepared to find a better way of doing politics. Yesterday’s election in Honduras was peaceful and orderly – the 61 percent voter turnout forced polls to remain open an extra hour – but anomalies in the vote count have cast a dark shadow over the legitimacy of the results. Although most polls for months indicated that Libre candidate Xiomara Castro had a several-point lead over National Party candidate Juan Orlando Hernández (and a few polls showed they were in a dead heat), the Superior Electoral Tribunal (TSE) said the Nationalist beat Castro by more than a five percentage point margin – 34.2 percent to 28.6 percent. Castro and other candidates had repeatedly claimed the National Party activist who heads the TSE (which has no representative from the nontraditional parties or Libre) would skew the results and, citing exit polls, she has alleged that fraud tainted up to 20 percent of yesterday’s votes. The TSE’s claim that, of more than 1.6 million ballots cast, there were no null or blank votes – when party poll watchers reported many – has also drawn attacks on its credibility. Nonetheless, the U.S. Ambassador and the European Union observer team hastily declared the process transparent and clean. Hernández and Castro have both declared victory – promising high tensions in at least the short term. Castro is the wife of former President Mel Zelaya, who was ousted in a coup in 2009, and has assembled a broad and deep popular base in Libre outside of Honduras’s two traditional parties. The government, military, economy and, importantly, news media are all dominated by elites that have long resisted the sort of popular movement she has built. Few observers believe that, particularly with U.S. endorsement of the election results, Castro’s demands for a recount or other review of the results will be heeded. If the results had been seen as accurate and fair, the election could have helped Honduras close the dark chapter of tensions and violence that started when the military forced President Zelaya into exile three and a half years ago. If Hernández is allowed to take office, his low vote – barely a third of all votes cast – alone promises a prolonged crisis like that which has plagued current President Lobo since his inauguration, a period during which both criminal and political violence has skyrocketed, public finances have deteriorated alarmingly, and political polarization has reached unprecedented heights. Under a Hernández presidency, the crisis may become even worse. Castro ran a campaign explicitly committed to peace and reconciliation and consistently urged her supporters to give democratic process a chance. She has never shown even the slightest inclination to call her supporters to violence, but popular anger has festered since the 2009 coup and there’s no guarantee that some frustration will not spill into the streets. The surge in right-wing violence in Honduras since the coup – reminiscent of death squad activities in other Central American countries in the 1980s – has persuaded many protesters to keep their heads down, but this election may lead to desperate acts which the death squads will be eager to respond to, threatening a spiral of violence the hemisphere’s second-poorest country can ill-afford. Honduras faces an enormous challenge in the next two months: ensuring that elections in November – when Hondurans go to the polls to elect their next president, 128 National Assembly deputies, and municipal authorities – are clean and transparent. The elections are especially important because they are the first conducted outside the framework of the coup of 2009. The elections that year, held five months after the coup, were conducted under the black cloud of the break in constitutional order and gave rise to the transition government headed by President Porfirio Lobo. This year, nine parties are participating – a clear signal that the country’s traditional two-party system is ending. The Freedom and Refoundation Party (LIBRE), with a base among supporters of ousted President Mel Zelaya, has nominated his wife, Xiomara Castro, as its Presidential candidate, and the Anticorruption Party, led by sports journalist Salvador Nasrala, represent a true challenge to the traditional political elite. All of the polls give the edge to Xiomara Castro, with a lead ranging anywhere from two to eight percentage points, over the candidate of the National Party, Juan Orlando Hernández, who is President of the Congress. The polls also show that a majority of the population, having witnessed multiple accusations of fraud during the primaries held by the two traditional parties (including Hernández’s), expect the elections to be marred by fraud. Casting further doubt on the credibility of the outcome is the narrow representation of the parties and lack of professionalism of the Supreme Electoral Tribunal (TSE), which is charged with organizing and supervising the elections. Only the three traditional parties have representatives serving on the TSE and, unlike in other countries, they are distinguished as militants of their parties rather than independents or experts in electoral processes. Should the results of the election not be seen as legitimate, the potential for conflict is worrisome, and there are ample grounds for concern that the security forces that have proliferated under the Lobo government could be deployed to suppress protest. Only strong international pressure and strong citizen pressure can guarantee that the elections will be clean and open the possibility for Honduras to overcome the political crisis that has now been damaging the country for several years. A number of events – including the firing of Supreme Court justices last December and the National Congress’s intervention in matters far outside its jurisdiction – underscore the continuing tendency toward authoritarian and illegal actions to suit ambitious politicians’ pursuit of power, with potentially dire consequences for the elections. An ongoing economic crisis, including a nearly 50 percent unemployment rate, and a serious deterioration of government finances, also contributes to political fragility. 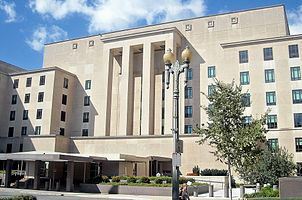 Against this backdrop, the United States and the rest of the international community can play a positive role in promoting elections that are fair and impartial and taking proactive measures to ensure that security forces ill-suited to managing social unrest not be deployed to suppress political dissent. Failing to do so would waste an opportunity to help effect a truly democratic outcome in Honduras, and invite a further deterioration of a political, economic and social climate that is the most worrisome in Central America.